Finally, I’ve reached the end of my epic travels through Southeast Asia and Hong Kong. Yes, my very last day in Hong Kong warranted an entire blog post all its own. Please enjoy my parting memories and know how much I’ve enjoyed sharing my travels and my new-found love of Asia with you. My last full day in Hong Kong was very bittersweet. The morning and early afternoon were spent packing more (it’s unbelievable how much stuff I managed to accumulate and still pack into two suitcases, a backpack and an extra carry-on bag in four months’ time). I meant to spend the afternoon with my roommate Katrin, having dim sum in the city, but since plans changed regularly at the drop of a hat, we ended up in Soho at a restaurant called Scirocco with a couple of other girls who were close friends and leaving that day (one girl’s flight was delayed six hours, though, so while she should have been in the air, she was hanging out with us instead). As we were sitting enjoying the day, the sky opened up and it started just pouring rain, apparently Hong Kong didn’t want us to leave either. Eventually though, we knew we had to get back to campus, so we ran through the rain drops, picked up Katrin’s super-expensive anti-malaria medication (she was going to Laos, Cambodia and Vietnam before heading back to Austria for the remainder of the summer, lucky girl! ), and returned to campus. The very Italian interior of Amaroni’s. Pretty authentic for Hong Kong, I’d say. My last night was spent enjoying one last dinner with the Pakistani – time was short, what can I say? It was wonderful to be wined and dined like I’d never been before. 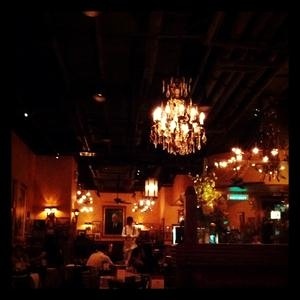 This time we went to an Italian restaurant called, “Amaroni’s” in the Festival Walk mall in Kowloon Tong. The food here was authentic American – Italian: huge portions, excellent antipastos and main dishes, and good wine (though I was still no expert) to top it off. After dinner, we went to see the movie “The Prince of Persia: Sands of Time,” which happened to be playing (in English with Chinese subtitles, of course). It was just ok (and later flopped overall at the box office), but still a really nice way to end the night. When I was dropped off around 1 AM, I called another friend (because who wasn’t normally up at that hour?) I hadn’t seen at all during the afternoon and went and hung out until about 4 in the morning. I know, it was not the smartest move, but there were so many people to say good-bye to and so little time. Then I slept for two and a half hours, got up again at 6:30, packed up my sheets and pjs and laptop and last-minute things, and was ready to go to the airport. At 9:15 AM, my Pakistani (one of the sweetest guys I could have met while coming to Hong Kong – it was a shame we didn’t meet sooner) came by in a cab to HKUST to take me to the airport. 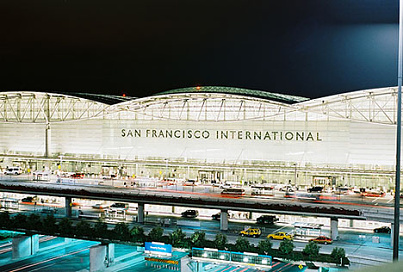 We made it there by 10:30, and I was checked in, at my gate, and on the plane by 11:15 AM for the 11:45 flight to San Francisco. And the rest is history. The last stop between me and my home in St. Louis. Was it too late to turn the plane around? I arrived home thoroughly jet lagged, and I already missing Hong Kong like crazy! I really wasn’t sure how I was going to survive the summer and my senior year of college in Atlanta – I needed to get back to Asia ASAP! And the pictures I saw from my friends who stayed or went backpacking around Asia after the semester ended only rubbed salt in the still raw wounds. Time eventually healed the wounds and the backwards culture shock of readjusting to life at home in the US helped, but I still have an especially soft spot for Hong Kong. I don’t think I’ll ever stop loving that country. I hope you’ve all enjoyed my adventures and updates from the Far East as much as I’ve enjoyed writing them. This was my last update from my study abroad semester, which is sad in itself, but I’m so happy to have written them because it helps me to remember the best semester of my life and all the people who helped make it that way. Take care! (And as they say in Hong Kong) Cheers! 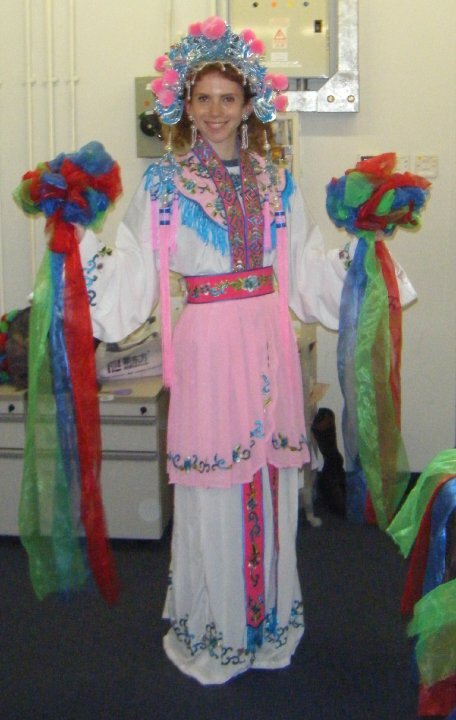 One last shot of me as a Chinese opera dancer for your entertainment. This entry was posted in Asia, Hong Kong and tagged Airport, Asia, Finals, HKUST, Hong Kong, Last Day, Return, Travels on May 23, 2014 by Paige N..